The Showtime House Returns to Rainey! 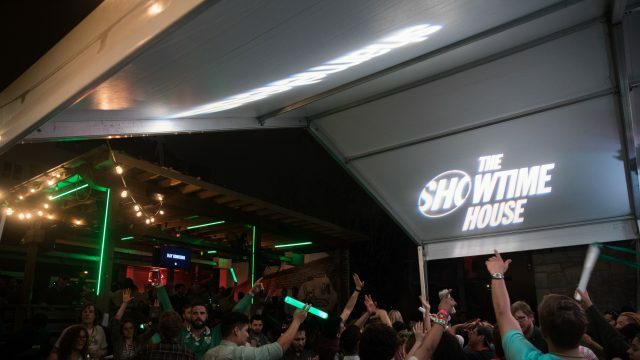 Join us at The Showtime House at Clive Bar on Rainey Street for a three-day party March 11-13, honoring Original Series The Chi, Black Monday, and Shameless, and two Showtime Music Documentaries. Monday kicks things off on a high note to celebrate upcoming Rick Rubin docuseries, Shangri-La, as well as Wu-Tang Clan: Of Mics & Men. Test your sound savvy in music trivia hosted by the Get It Gals, hit the Wu-Tang Clan name generator photo booth, and enjoy concession stand snacks, DJ sets, and a performance by Francis and the Lights. Tuesday is a town vs. town showdown. With stars Paul Scheer (Black Monday) and Jacob Latimore (The Chi), the Windy City takes on the Big Apple in a live Secret Walls competition and NYC/Chicago taste test. Plus, daytime DJs and live musical acts at night, including performances by Jacob Latimore, DJ Spinderella, and Grammy Lifetime Award Winner and Rock & Roll Hall of Famer, Mavis Staples. Throughout the festivities, stop by the corner of Rainey & Davis Streets for a special photo op and free swag, starting at 2:00pm daily!